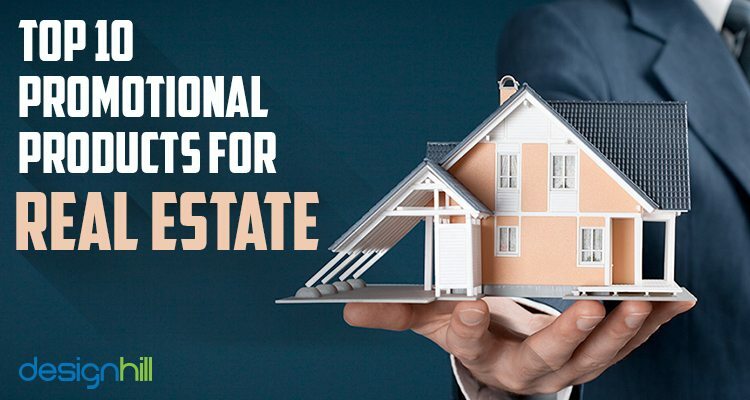 Real estate companies garner much-needed attention of the potential customers by enticing them with promotional products. However, like all other marketing strategies, you should plan picking the promotional merchandise carefully. If you distribute the items that people find useful in daily life, chances of engaging them with your real estate brand go higher. Here Are the Top 10 Promotional Products That Can Turn the Recipients Into Customers of Your Real Estate Offers. 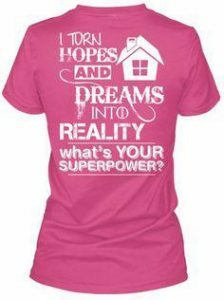 A t-shirt offered as a gift is a surefire way to ensure that your real estate logo and brand is visible consistently to the customers. They will wear your print t-shirt with a logo and brand message of your company. This way, they will become a walking advertisement board of your business, since many thousands of people will see the company logo on your t-shirt design. Everyone loves to have an attractive and branded pen. People may be doing most of the work today on the computer, still, they have to use the pen to fill documents, sign papers and many need it for daily paper work. 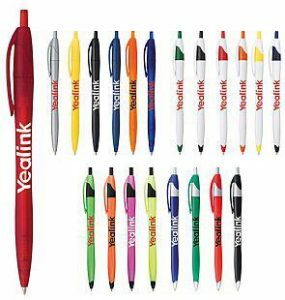 A personalized pen is a popular promotional product. But make sure that it is of high-end quality and branded. For maximum impact, pick a useful pen such as a Raptor pen, Body Message Pen, stick pens, click pens and twist pens. Do not forget to personalize the pens with different messages. Magnets can be stuck to the surfaces such as on a refrigerator. A magnetic business card will be kept at one place to remind the client of your business. Similarly, a house-shaped magnet with your contact information will draw the attention of your clients consistently. 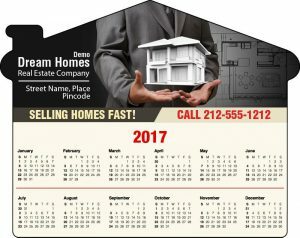 You can also distribute calendar magnet so that your customers can see real estate logos all the time throughout the year. People keep the key chains of cars, bikes, homes, offices etc with them for most of the time. Your chances of maintaining a consistent visibility for your business are higher when your potential customers have their keys dangling in your gift of key chains. An elegant house key chain made of a metal with sophisticated design will be a great gift. The recipient will keep such a key chain for a long time. Many varieties of key chains such as a house-shaped measuring tape keychain and a stress ball house key chain are available at cheaper prices. 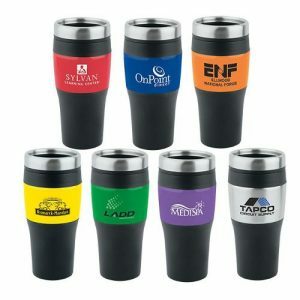 Tumblers make useful promotional products for people as they can sip the hot beverage. These items of daily use ensure greater visibility for your real estate logo and company’ brand message. Give the potential customers attractive stylish tumblers they can keep on the tables proudly. 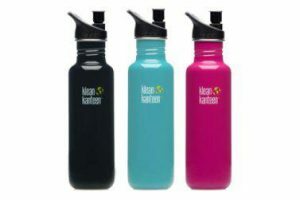 You have many dozens of traveler tumbler options to choose from for the desired brand visibility. A wide range of office and home products are ideal promotional products you can explore to catch your clients’ attention and drive customer to your business. For example, offer gifts such as a house-shaped bank, mints, bag clips, stress balls, mouse pads, umbrellas, and so on. Your logo and the brand message get maximum exposure as the household items increase the visibility of your business due to daily use. The drinkwares are useful giveaways for business promotion. You can distribute BPA-free water bottles, stainless steel bottles and plastic tumbler mugs and many other such items for daily use. These products will help you get the high number of impressions. The power bank is a basic need of modern consumers for charging the smartphones and other mobile devices. Most of the people carry the power banks while traveling. Your real estate clients will love to have one such gift of a stylishly designed power bank. 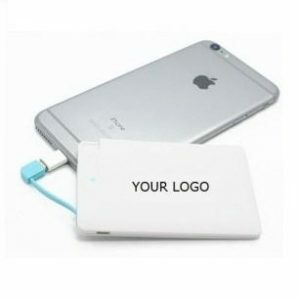 They will use the charger frequently many times a day, making your real estate logo and business visible throughout a day. 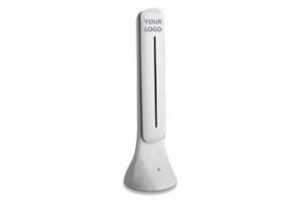 Real estate agents and brokers can use customized lamp as an eye-catching promotional merchandise to spread awareness about a company’s business. The lamps are durable and last for many years. Their frequent use ensures a high number of impressions and you get more clients to your real estate business. People misplace things in the modern super speedy world. They need smartphones always around all the time. You can help them in keeping their mobile phones safe and at one place by offering cell phone wallets. Other than the mobile phone, your potential customers can put credit cards, cash and business cards in the wallet for quick access. These promotional items are bound to make a memorable impression on your target consumers. As the items will be with them for a long time, visibility of your real estate logo increases and in turn, it helps in building your brand identity.